In a blender combine all marinade ingredients and blend until smooth. Marinate chicken for 30 minutes – 24 hours. Remove chicken from marinade and place in a oven safe dish. Top with thyme and 1/2 cup blueberries. 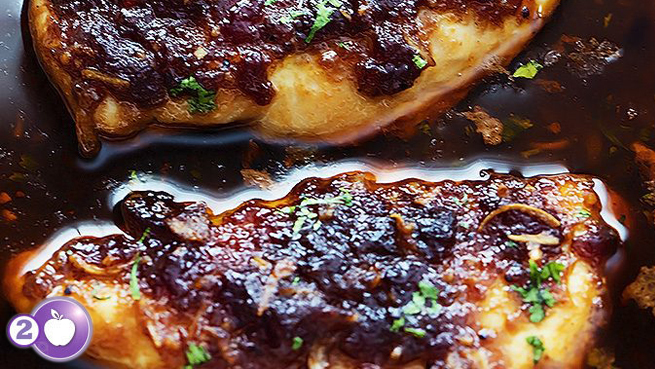 Add a drizzle of olive oil over chicken and bake for 20 – 25 minutes. Blueberries are packed with fiber!